Alfa Romeo is one of the oldest and most prestigious names in motoring with a history dating back to 1910. Their original models were expensive sports cars but during the 1960s they moved into the mass market. 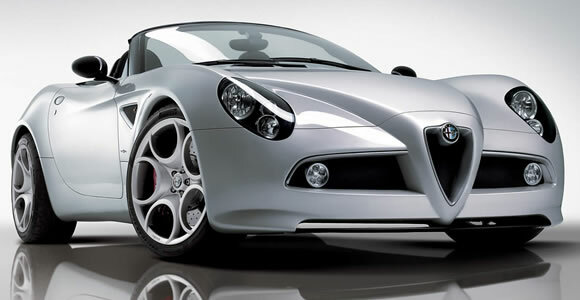 Alfa Romeo are well known for their convertible models – usually 2 seat sports cars called Spiders. An Alfa Spider featured heavily in the hit 1967 film ‘The Graduate’ which helped give the company global appeal. They were taken over in 1986 by the Fiat Group and the designs had to fit underneath the Ferrari and Maserati brands within the group. Like other Italian manufacturers Alfa Romeo suffered for many years with a reputation for being unreliable however quality has been much improved in recent years. They have even managed to break free of the restrictions of the Fiat Group and produced some rear wheel drive sports cars.